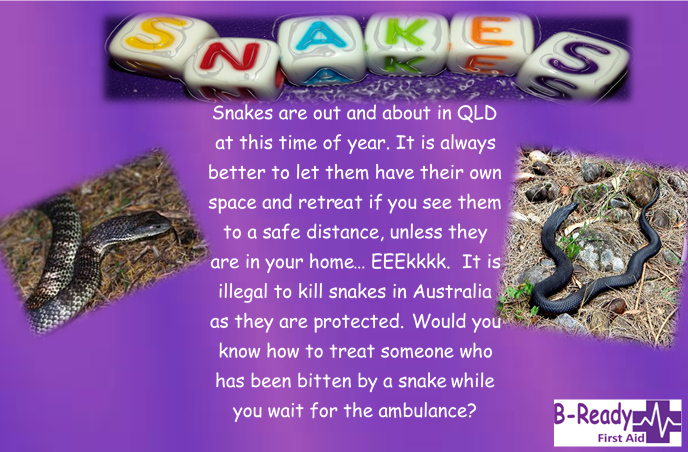 B-The one to make a difference learn CPR, First Aid, Asthma & Anaphylaxis Management with B-Ready First Aid in Brisbane's North,South East& West. If there is no history of tick allergy, immediately remove the tick. 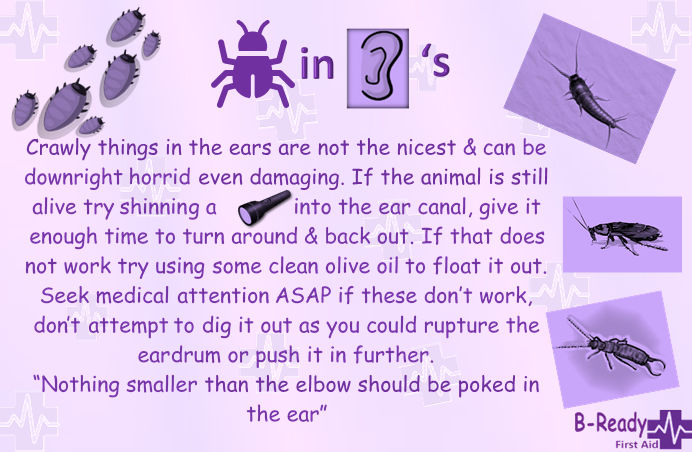 If the casualty has a history of tick allergy, do not attempt to remove the tick! Are you out in the ocean swimming ‍♂️ & cooling ‍♀️off? Something to watch out for in our rock pools! 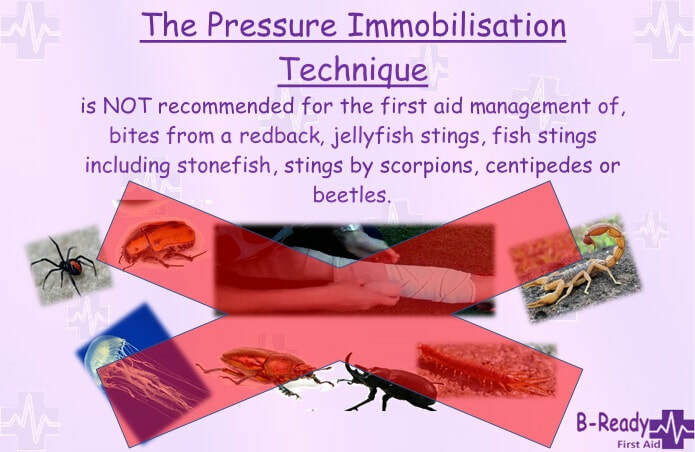 Using a pressure immobilization bandage on these don't help as the poison/venom is not into the lymphatic system. Does the thought of this make you cringe? It does us OOOhhhhh ! 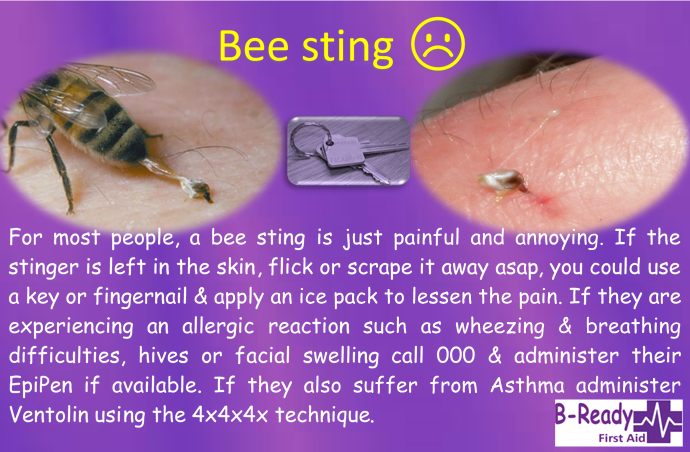 These critters are most painful & require urgent medical attention. 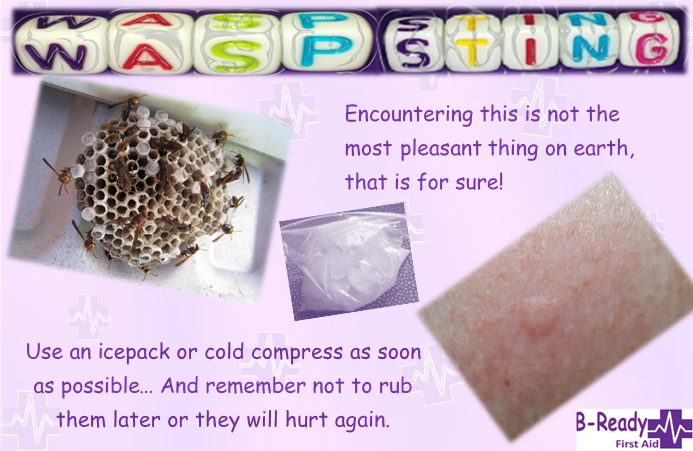 Just refreshing, Bee's Wasps ants & ticks all are best treated with ice packs or a cold compress! OOOuuucchchhy! There are lots of jellyfish in the waters of the world but these are supposed to be the worst. Difficult to identify or even know what or which one has caused the sing. Painful that is for sure! 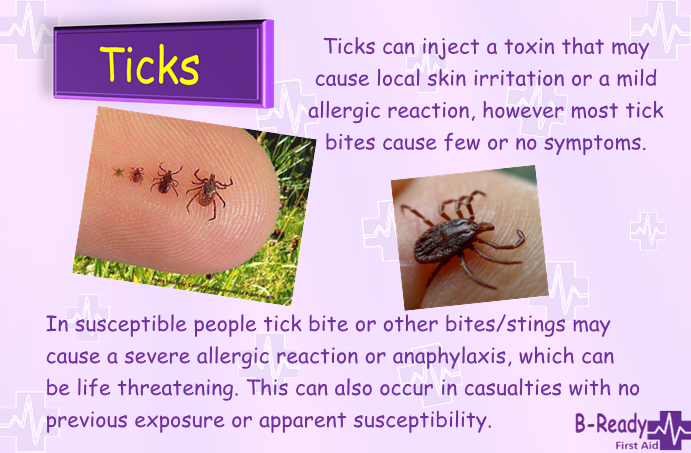 In the summer it is more likely to encounter ticks, Check out this for more information! Yes I know you might of heard about this little spiders flesh eating adventures apparently not so! 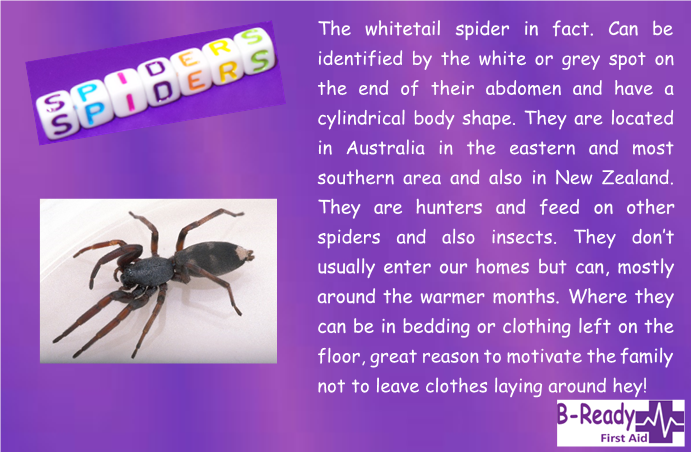 Learn about the Funnel-Web in Australia. 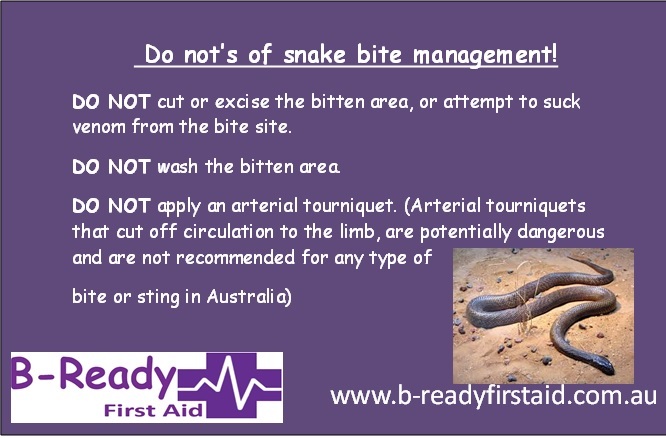 Here is some general info about spider bite management. 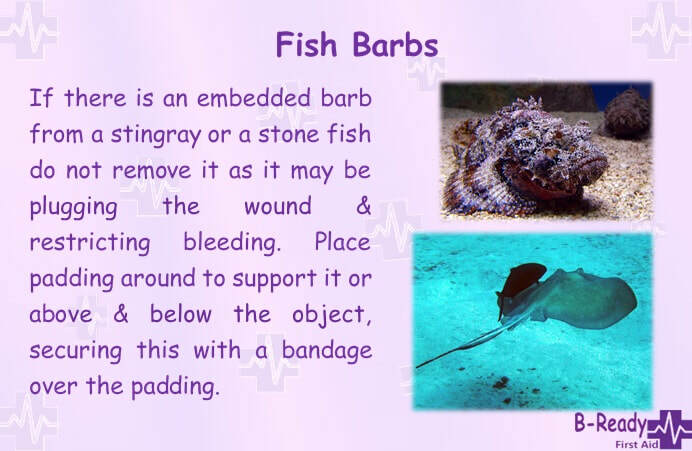 Learn First Aid & know how to help! 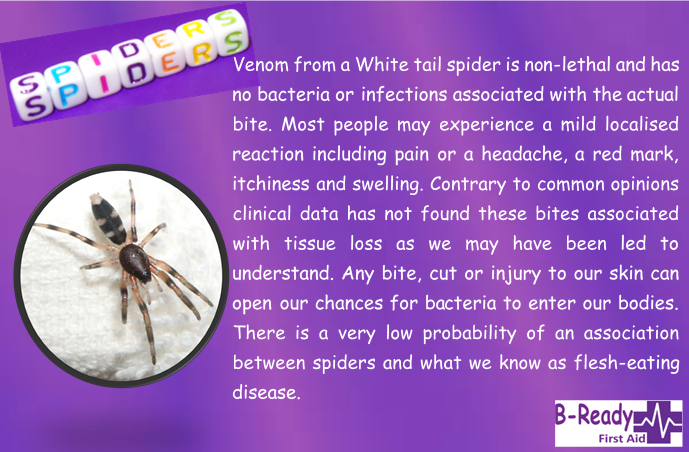 This highly venomous spider is usually recognized by the female who has that red stripe. They have that messy looking web and love warm sheltered locations such as under timber, in the groves of bricks or under the outdoor chairs. Interestingly this arachnids is among the few who display sexual cannibalism while mating. 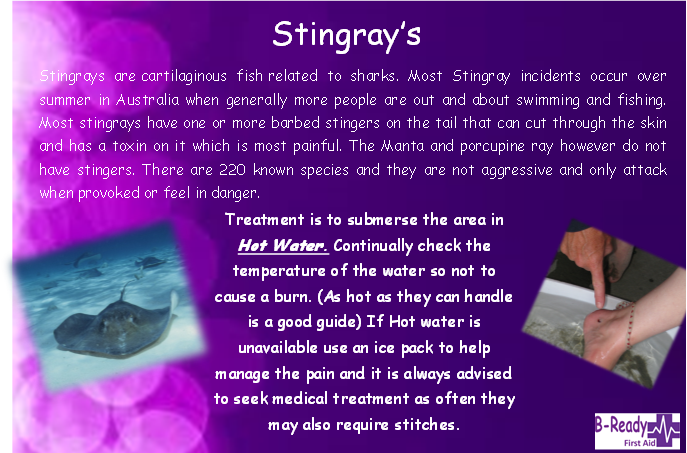 B-Ready First Aid Stingrays...​Fatal stings are very rare, but can happen,most famously in the death of Steve Irwin in 2006, in which the stinger penetrated his thoracic wall, causing massive trauma. 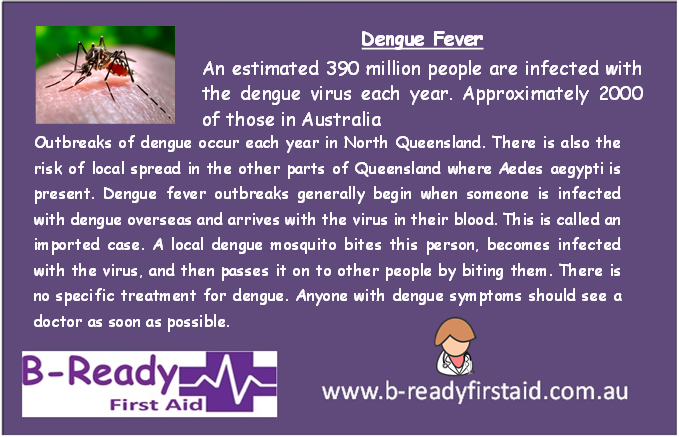 B-Ready First Aid Dengue Fever...​Mosquito, the little sucker, :( .Is responsible for lots of illnesses, in Australia, there is currently no vaccine or preventative medicine for dengue. Avoiding mosquito bites is the best prevention. 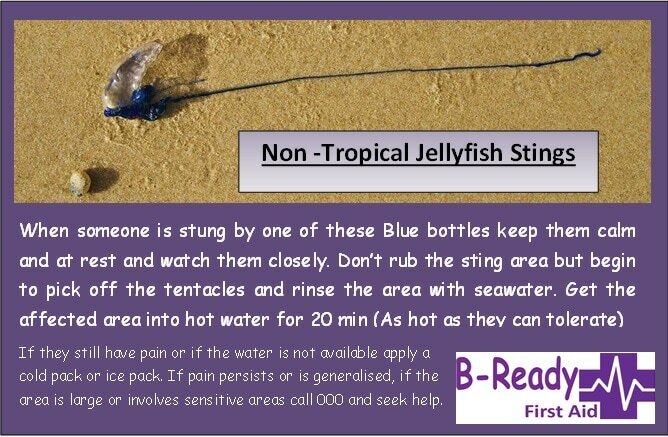 B-Ready First Aid :-Fire ants are one of the world's most invasive species and will ruin every day activities. We all have an obligation to assist with their containment and eradication. Yard checking and reporting is critical, call 13 25 23 or go online if suspicious and report. JELLYFISH & Australian Scientists: Tracking, studying, handling. Great Education on the animal Itself. 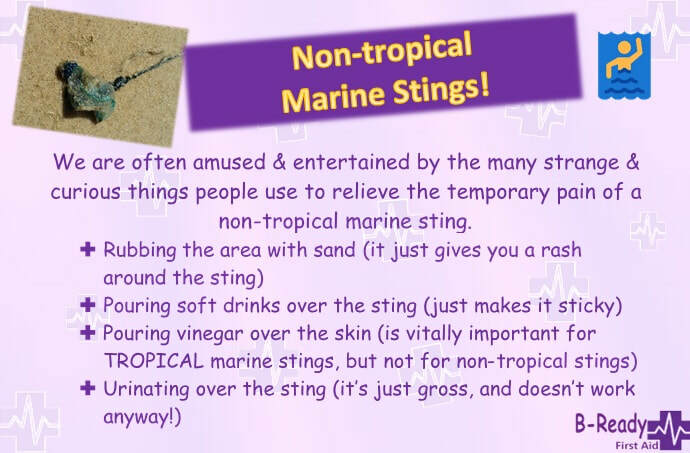 3D animation of stingers. 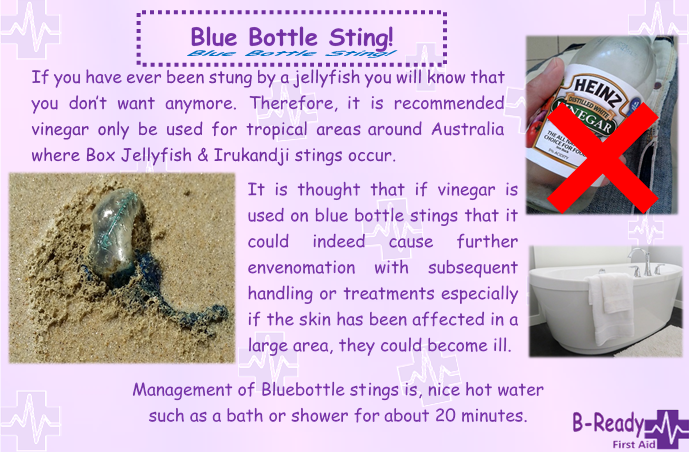 This is a very interesting look into these somewhat unknown Irukandji in the tropics of Australia!